Taunt the bad guys as your favourite wall-crawling superhero with the Wise Cracking Spidey Mask! This cool electronic mask lets you take on the identity of Spider-Man. 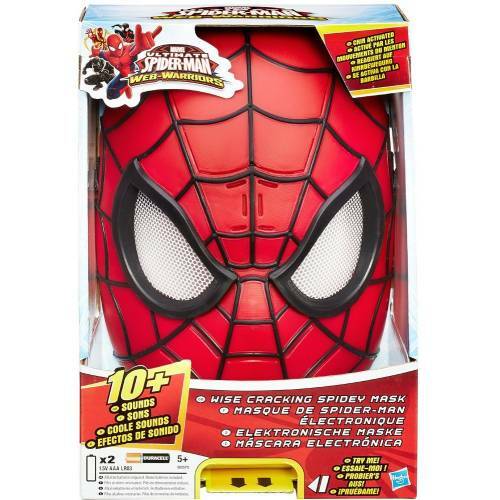 With this electronic mask on your face, you can hide your own identity and adopt the web-slinger’s tough persona! At just the right moment in the battle, you can activate the mask’s sounds and 10 phrases. 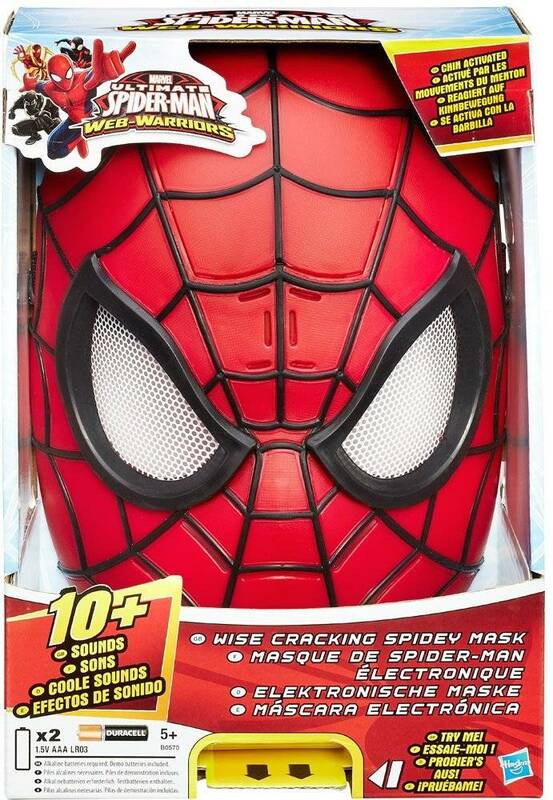 Villains everywhere will run at the sight and sound of you in your Wise Cracking Spidey Mask!